Cowcat has announced that Riddled Corpses EX, a twin-stick shooter reminiscent of arcade games from the ’80s and ’90s, is coming to Switch. Diabolical Mind released the game previously, but it’ll now feature 60 frames per second, additional story elements, and two-player co-op. 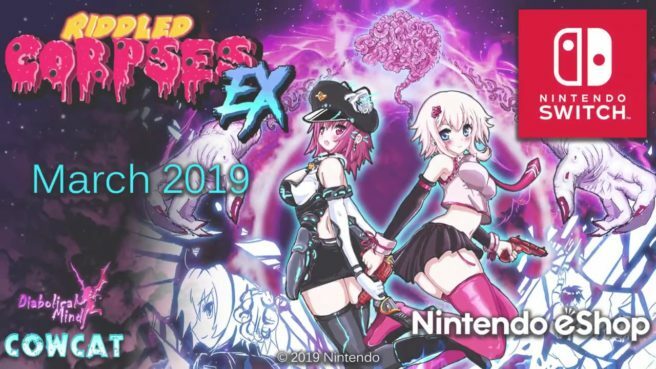 Riddled Corpses EX launches March 2. Pricing is set at $9.99.